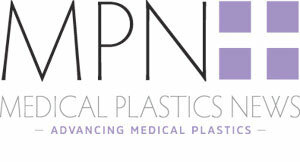 Plastics play an important role in the medical devices industry. Not only do they help control cost (e.g., light weighting and parts consolidation), they’ve improved patient care (e.g., non-invasive surgical devices), and contributed to patient safety (e.g., glass replacements). Now plastics are assuming an even greater role as manufacturers realise that rigid, hard-touch surfaces can benefit from a soft-touch feel. Overmouding is the solution that’s emerged and it’s becoming commonplace. Through co-injection or insert-moulding, a thermoplastic elastomer (TPE) overlay is created to enhance an application’s surface. Overmoulding is used to differentiate products. It improves ergonomics and makes products safer. Automakers have known the importance of overmoulding as a way to create a luxurious feel for high-end customers. Houseware manufacturers have been attuned to the ergonomic implications. Consumer electronics companies have known the added value that comes with color or texture. Zanetti notes that the U.S. Food and Drug Administration (FDA) may have contributed to the interest in overmoulding. The FDA recently issued a guidance document called “Applying Human Factors and Usability Engineering to Medical Devices” (revised February 2016). The intent of this report is to encourage manufacturers to make sure their devices can be used safely, without causing harm or lessening the effectiveness of treatment. Trinseo has been a leading supplier of rigid thermoplastics for medical devices for decades. Now, to better support the industry, the company has added thermoplastic elastomers (TPEs) to its portfolio though a 2017 acquisition of Italian manufacturer API S.p.A, which has specialised in the research, development and production of soft polymer compounds for more than 60 years. As healthcare services move from traditional settings such as hospitals, clinics, and physician’s offices to non-clinical and personal living spaces, people want medical equipment that blends in with their surroundings. The use of TPEs provides aesthetically pleasing, soft-touch surfaces to help devices look more attractive and less institutional. They also offer benefits such as reduced vibration and noise as well as soft-touch, easy-to-grip knobs and handles that can improve functionality for professionals familiar with medical equipment and those who are not. Patients want convenient, effective treatment that can be administered “on the go.” This has created a need for drug delivery devices such as auto injectors, asthma inhalers, and portable respiratory equipment. Along with the actual device, is a need for easy administration and error-free performance. Part design and/or textured surfaces can help guide proper handling. Coloured inserts or moulded-in labels can provide instruction and non-slip grips can help ensure accurate administration. According to the World Health Organization (WHO), the number of people 60 years or older will jump from 900 million to two billion between 2015 and 2050. Medical device OEMs need to adjust to this growth by developing devices that take a variety of factors into consideration. Not only is patient age important, but physical dexterity, flexibility, and coordination are all key as manufacturers work to create ergonomic designs for patients of all types and abilities. Overmoulding is an injection moulding process in which a thin TPE layer is applied to a second material, or substrate, typically a rigid plastic. The substrate can either be non-polar, a polypropylene (PP), or polar, either a polystyrene (PS), acrylonitrile butadiene styrene (ABS), polycarbonate (PC) or PC/ABS blend. The actual TPE chemistry used for the overlay – and there are six classified TPE categories according to ISO 18064 standards – depends on the substrate chosen. The most important element in overmoulding is good adhesion of the TPE onto the thermoplastic, i.e., bond strength. Due to the wide variety of TPE types and the large number of cross-industry manufacturers using the technology, reaching qualitative, quantitative, and comparative consistency regarding bond strength has been difficult. The automotive industry has led the way in the use of overmoulding and, in the last three decades, the industry’s demand for combining soft TPEs with hard materials has increased. Today, more and more applications require a soft, rubbery-touch surface to cover rigid substrates and as a result, the industry had been using various test methods to determine the quality of adhesion. In 2008 in an effort to develop overmoulding standards, the Association of German Engineers embarked on an initiative to define a common testing protocol. The automotive-industry-driven initiative focused on creating an international standard to define bond strength, with the aid of a systematic peeling-test procedure. The resulting “VDI 2019 Standard” has been developed and is now applicable to TPE testing on any rigid thermoplastic material. It also includes specifications for required documentation. Central to the VDI standard is a Peeling Test, which measures the quality of the adhesion. In essence, a dynamometer measures the resistance of the materials to separation. In a controlled environment the soft components are subjected to constant tensile stress until failure, and then fracture patterns are assessed and the type of fracture provides an indication of the strength of the bond. According to Zanetti, the importance of testing during the application design process is critical and, by adopting this discipline, product manufacturers can realise the benefits of reduced cycle time and cost in final production. “In the course of testing, if a moulding sample doesn’t meet quality standards, several possibilities exist,” said Zanetti. “Bond strength can be improved by either modifying the injection moulding variables or the chemical formulation; better bonding can also be achieved through changes in the TPE polymerisation process. Trinseo’s Specialised Overmoulding Testing Center (SOC) in Mussolente, Italy is dedicated to overmoulding excellence and has been fulfilling the requirements of VDI since 2014. The SOC is equipped with a state-of-the-art laboratory designed to measure bond strength and determine adhesion in relation to main injection moulding variables: material temperature, mould temperature, and injection speed and pressure. Trinseo, then API, contributed to the writing of the VDI standard.